Really big actually! We launched our new @ cost printing program last month and in 4 short weeks Window Cleaners across the country have saved over $16,000.00 in printing costs.I’ve already saved about $120 through the new WCRA @ cost printing program this week. That damn near paid for my renewal fee right there. Ill probably save around $1500/year from @ cost printing. With the summer slow down fast approaching now is the perfect time to join the WCRA window cleaners association. 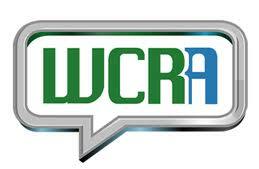 The WCRA gives you the tools and skills needed to take your window cleaning business to the next level. On top of that we have partnered with companies that you already know and love to bring you huge discounts on services you already use! You also get access to our professional webinar library with great training sessions brought to you by the folks at E-Myth and other industry leaders. Discuss what you have learned privately in the special members only forumand start taking your window cleaning business to the next level. We also offer a 3-way pay option and half off for students. ← Hey! Guess who made front cover of Window Cleaning Business Owner magazine in the US? ?